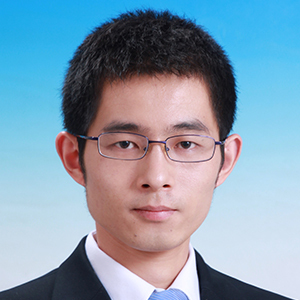 Junyuan Xu obtained his PhD degree from University of Science and Technology Beijing (USTB) in Jan. 2014 supervised by Prof. Xindong Wang. During his PhD study, he went to Denmark as a one year Scientific Visitor at Technical University of Denmark (DTU) from Oct. 2011. His PhD project was on “High performance oxygen evolution reaction catalyst in acid for Proton Exchange Membrane (PEM) water electrolysis. Starting on Mar. 2014, he became a postdoc research fellow at the Catalysis and Materials Division (CMD) of Institute of Metal Research (IMR) with Prof. Dangsheng Su as supervisor, where he focused on the electro-catalytic activity origin of carbon dioxide conversion using heteroatom doped nanocarbon as the electro-catalyst. After two years training, he joined the International Iberian Nanotechnology Laboratory (INL) as a Critcat Project Research Fellow and will work on non-precious earth-abundant electrocatalysts for hydrogen/oxygen evolution and oxygen reduction reactions in Aug. 2016. Junyuan Xu, Ruiying, Miao, Tingting Zhao, Jun Wu, Jianling Li, Xindong Wang. A novel catalyst layer with hydrophilic–hydrophobic meshwork and pore structure for solid polymer electrolyte water electrolysis. Electrochemistry Communications, 2011, 13, 437-439. Junyuan Xu, Gaoyang Liu, Jianling Li, Xindong Wang. The electrocatalytic properties of an IrO2/SnO2 catalyst using SnO2 as a support and an assisting reagent for the oxygen evolution reaction. Electrochimica Acta, 2012, 59, 105-113. Junyuan Xu, David Aili, Qingfeng Li, Chao Pan, Erik Christensen, Jens Oluf Jensen, Wei Zhang, Gaoyang Liu, Xindong Wang, Niels J. Bjerrum. Antimony Doped Tin Oxide Modified Carbon Nanotubes as Catalyst Supports for Methanol Oxidation and Oxygen Reduction Reactions. Journal of Materials Chemistry A, 2013, 1, 9737-9745. Junyuan Xu, Qingfeng Li, Erik Christensen, Jens Oluf Jensen, David Aili, Wei Zhang, Martin Kalmar Hansen, Gaoyang Liu, Xindong Wang, Niels J. Bjerrum. Oxygen Evolution Catalysts on Supports with 3-D Ordered Array Structure and Intrinsic Proton Conductvity for Proton Exchange Membrane Steam Electrolysis. Energy & Environmental Science, 2014, 7, 820-830. Junyuan Xu, Yuhe Kan, Rui Huang, Bingsen Zhang, Bolun Wang, Kuang-Hsu Wu, Yangming Lin, Xiaoyan Sun, Dr. Qingfeng Li, Gabriele Centi Prof. Dr. Dangsheng Su.